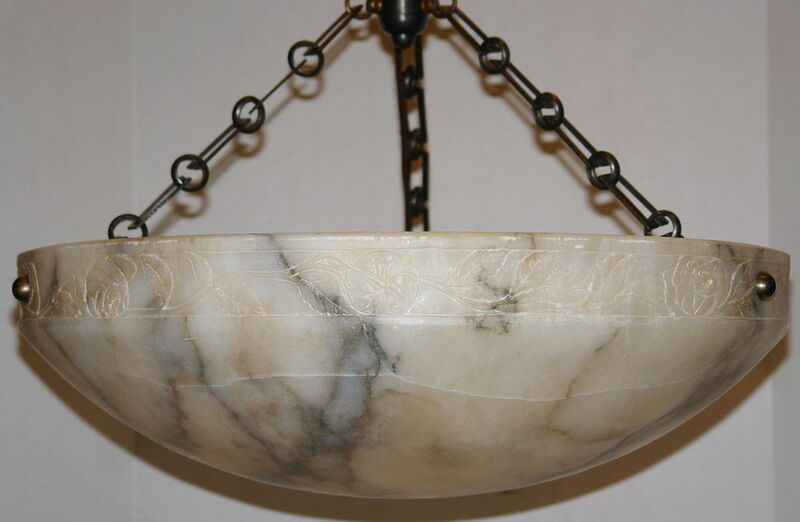 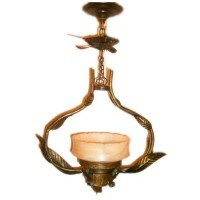 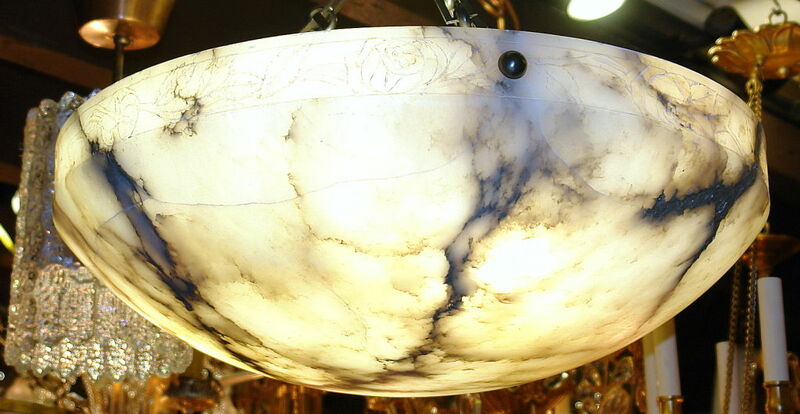 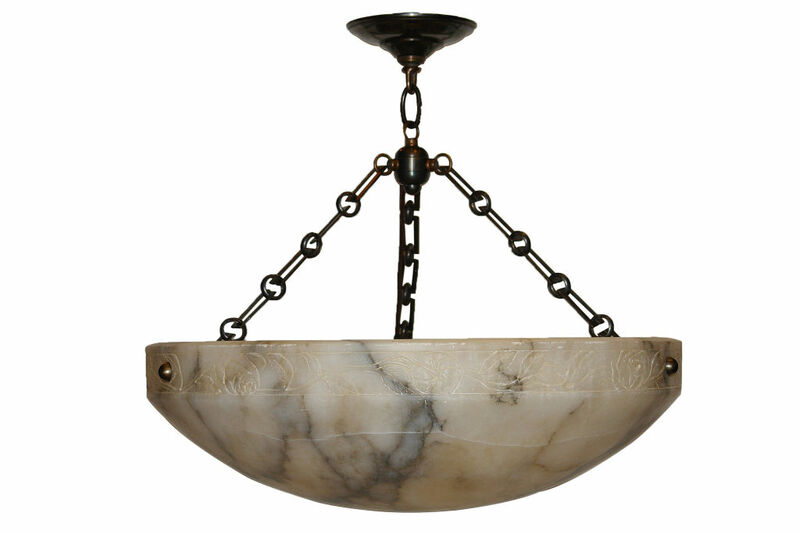 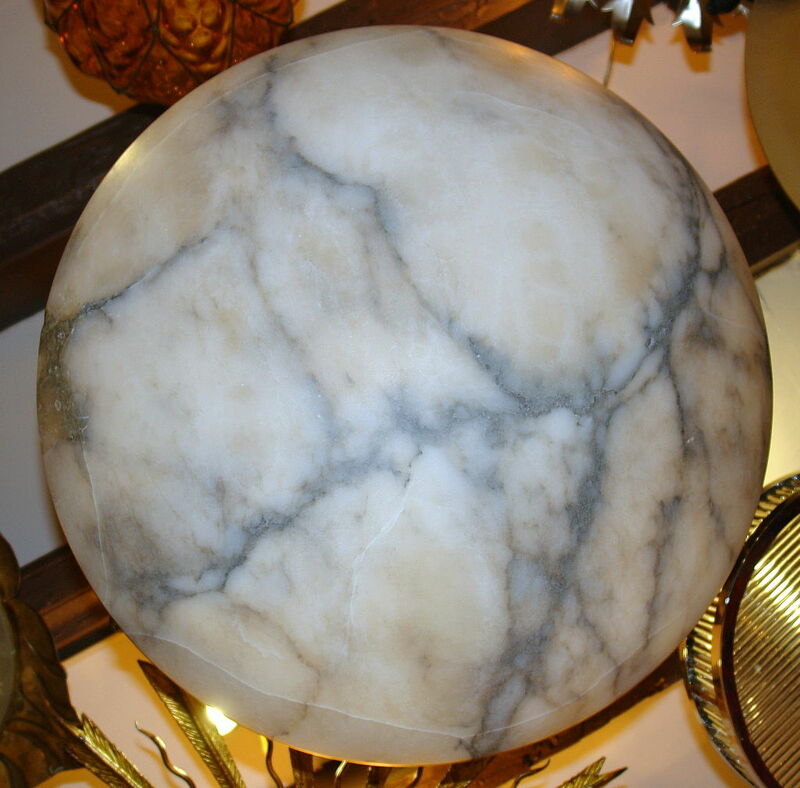 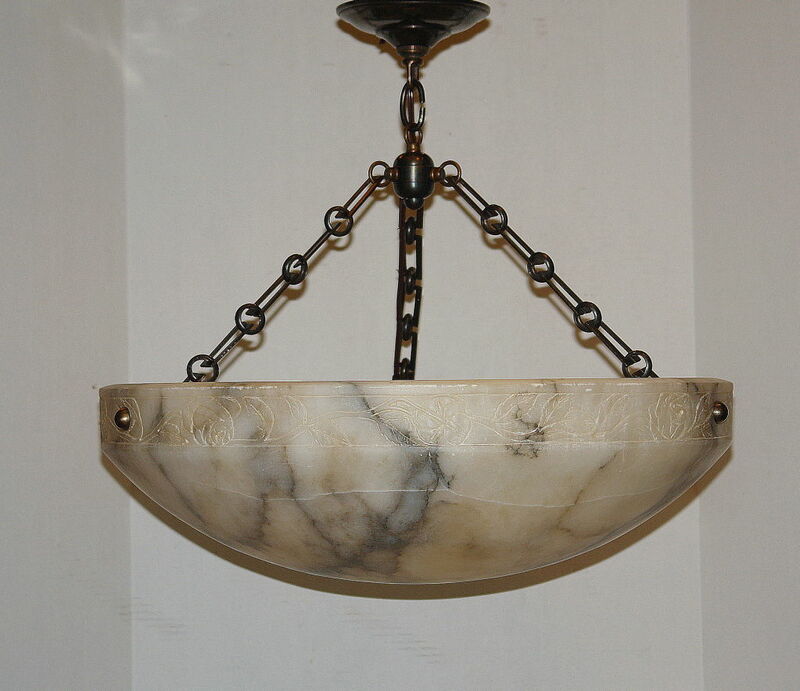 A large carved alabaster light fixture with carved roses around the edge. 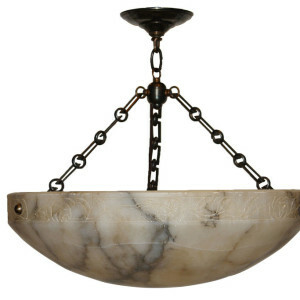 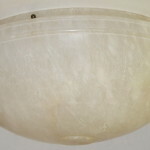 Circa 1930 Italian Art Deco alabaster light fixture with interior lights, carved edge around border, original alabaster canopy. 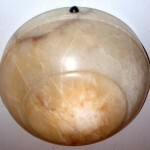 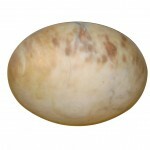 Measurements Diameter: 21.5"